Where is Bonnie Bella? 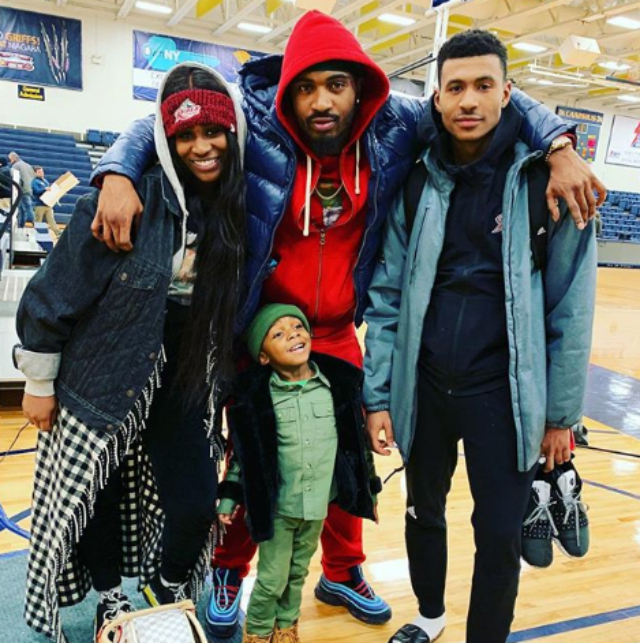 Stevie J often posts photos of his six kids on his social media pages, but fans have noticed that in recent months, he hasn’t posted photos of his daughter with Joseline Hernandez. Stevie recently shared a video clip of his daughter, Eva Giselle, in which the youngster was sitting at the table with her friends. Stevie went around the table to show off Eva and her friends. The girls took time to smile and wave at the camera while chowing down on a bit of breakfast. “Great way to start my day,” Stevie said. The celebrity father also shared pictures of his older children hanging out with him and his wife, Faith Evans. “They growing up,” Stevie exclaimed. “My loves,” the star father added. One of Stevie J’s followers had a theory that the celebrity father was intentionally shutting his youngest daughter out of the group. The critic had a rather strong admonition for the celebrity father. It seems that Stevie heard the concerns of his public, which is why he uploaded a picture of Bonnie Bella that the little one’s mom shared a few days ago. Critics were sure to tell Stevie that the photo belonged to Joseline. “You took this off @joseline’s page,” one fan quickly noted. “He took this from @joseline’s page,” another viewer affirmed. “Maybe no child support being payed,” another added. Joseline Hernandez and Stevie J recently settled their child custody case, according to a recent report by TMZ. The media source reports that Stevie has to pay Joseline $1,000 a month in child support as both exes make 30k/month. Stevie and Joseline hammered out this deal last year. The celebrity father has joint physical custody of Bonnie Bella. Joseline, however, maintains primary physical custody of the little one. This article was originally writtern on January 31st, 2019 and updated on February 2nd, 2019.